This blend is mild, aromatic and tastes amazing. It is perfect for making a mild curry for the boys, adding to a kedgeree or for making my Curried Lemon Butter Shrimp. It is a slightly sweet and super mild powder. Those who want some spice can add cayenne pepper to the mix. I would start at 1/2 teaspoon and see how you get on. Alternatively add some fresh chilli to your curry. I like to use this to make a mild (and totally inauthentic) chicken and apple curry for the boys. It is also great added to a chicken mayo for a tasty coronation chicken. 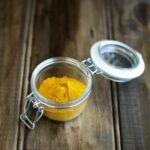 Have you ever looked at the jar of curry powder you buy in the supermarket? With so many of them the first ingredient on the list is cereal or maize. Then most have salt in them! It is so easy to make at home without these ingredients! 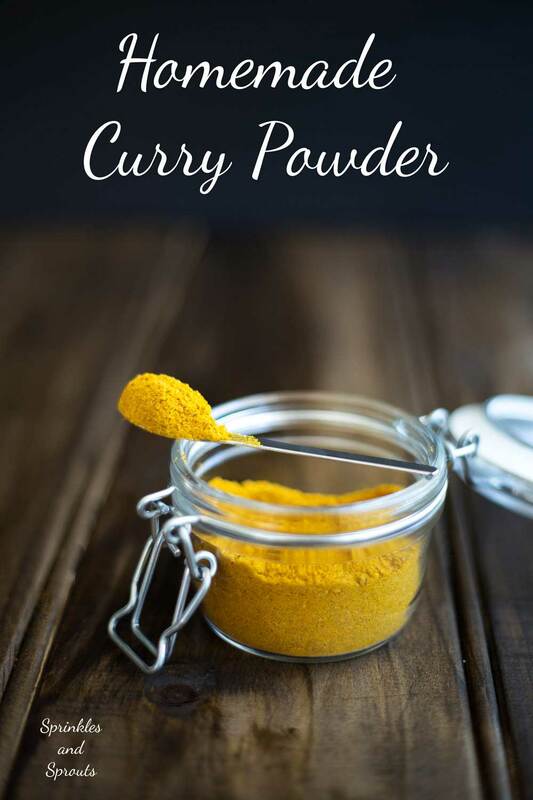 If you love this recipe for Homemade Curry Powder why not pin it for later. 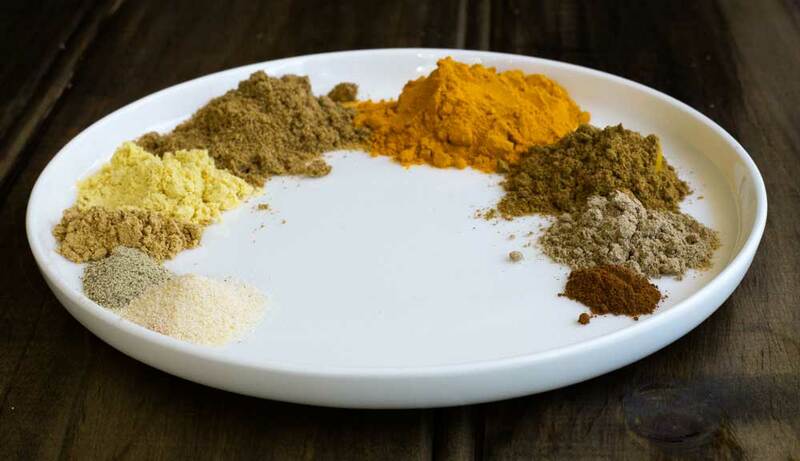 Homemade Curry Powder. Quick, easy, natural AND it tastes so much better than your store bought brands. Measure the spices out into an airtight jar. 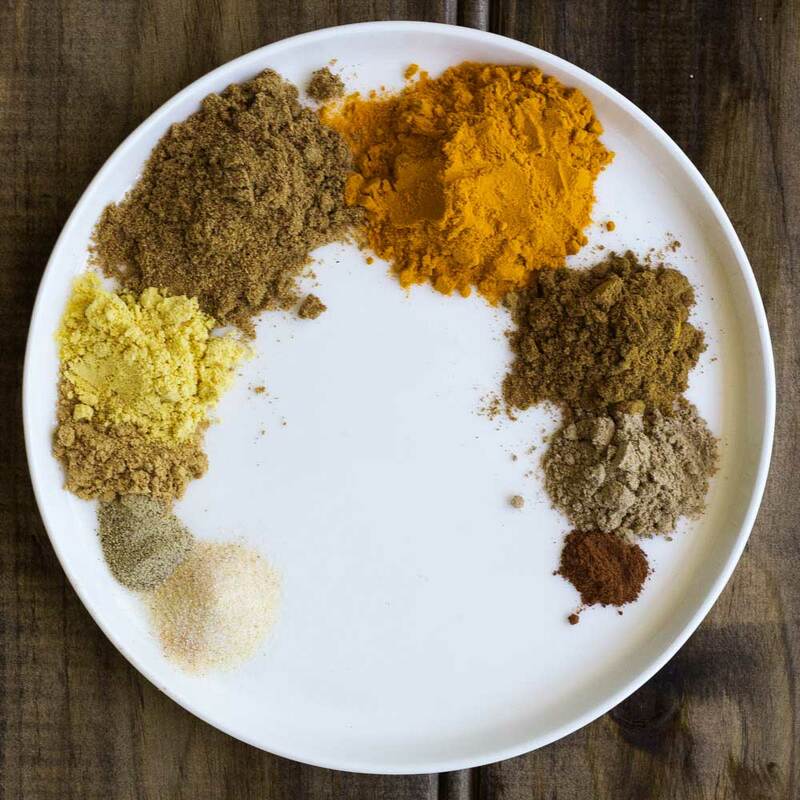 Mixed spice is made up of cinnamon, nutmeg and allspice. 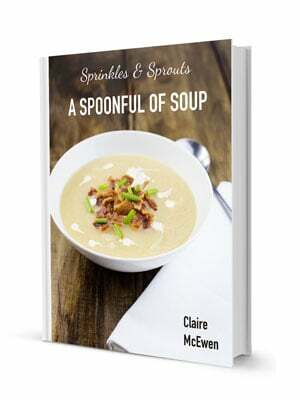 If it is unavailable a pinch of cinnamon, nutmeg and allspice can be used instead. 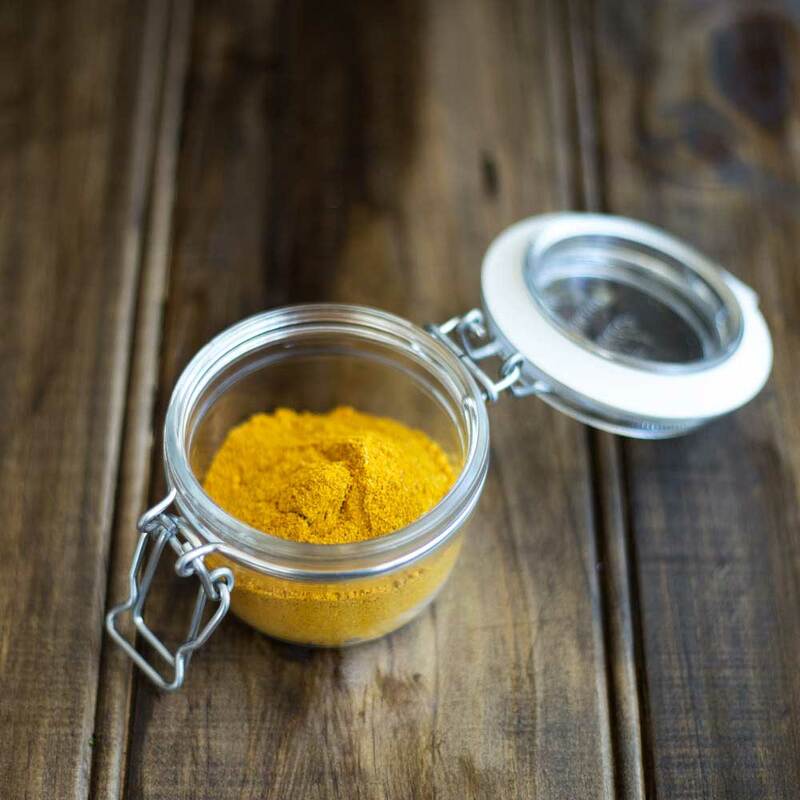 If you love food why not subscribe to my newsletter, I will drop you an email every now and then, just to say hi and send you a couple of recipes think you might love, like this Homemade Curry Powder. I CANT FIND WHERE TO SIGN UP FOR YOUR NEWS LETTER. PLEASE HELP ME..
My sign up form wasn’t working and I would never have known. It should be at the bottom of the post now.